EPFL scientists have successfully stabilized perovskite solar cells by mixing rubidium into them. 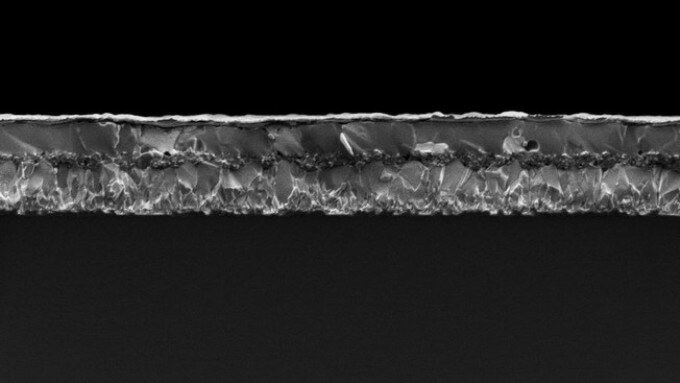 This innovative study has helped to develop a new generation of perovskite solar cells and has enhanced power-conversion efficiency to almost 21.6%. Perovskite solar cells possess the ability to provide cost-effective solar energy. However, heat stability is a matter of concern and can notably limit the solar cell’s long-term efficiency and degenerate the cell’s structure over time. One solution is to mix perovskites with various other materials, such as cesium that can enhance the stability of the cell without compromising its efficiency to transform light into electrical current. This research has been published in Science. Rubidium cations have now been integrated into perovskite solar cells at Michael Grätzel’s laboratory at EPFL. In full sunlight and at a temperature of 85°C, exceptional stability for over 500 continuous hours was maintained. Additionally, a record value power-conversion efficiency of 21.6%.was attained. Based on their innovation, a patent has already been submitted by the laboratory. This project work was headed by postdoc Michael Saliba, and has demonstrated that perovskite cells built using rubidium can produce voltage that is close to the so-called thermodynamic limit, which is the theoretical maximum efficiency of transforming sunlight to electricity. This paves the way toward an industrially deployable, new generation of perovskite photovoltaics. This research work involves collaboration between EPFL’s Laboratory of Photonics and Interfaces and Laboratory of Photomolecular Science with the Materials Research Laboratory of the Panasonic Corporation. This research received funds from the Horizon 2020 (Marie Skłodowska Curie fellowship) the European Union's Seventh Framework Programme for Research (FP7), the Swiss National Science Foundation (SNSF; Umbrella project) the NRP 70 "Energy Turnaround", CONNECT PV, SNF-NanoTera, the Swiss Federal Office of Energy (SYNERGY), and the King Abdulaziz City for Science and Technology (KACST).